One of my passions is cooking. 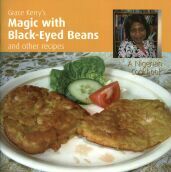 I have published cookbooks on Nigerian black-eyed beans and rice recipes. There are more cookbooks in the pipeline that will focus on other Nigerian recipes and food specialities. Please see below for information, pictures and recipes from my cookery books. Both cookbooks can be purchased from Amazon UK and other bookshops. 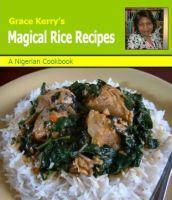 Grace Kerry's Magic with Black-Eyed Beans and Other Recipes is a unique and practical Nigerian cookbook focusing mainly on nutrition rich black-eyed bean dishes, but also includes many other favourite Nigerian recipes. A lot of the recipes in the book are suitable for vegetarians. Kindle e-book version also available worldwide. This full colour cookbook is about the art of imaginative traditional healthy Nigerian cooking. Every recipe is magical and captures the essence of Nigerian cuisine. 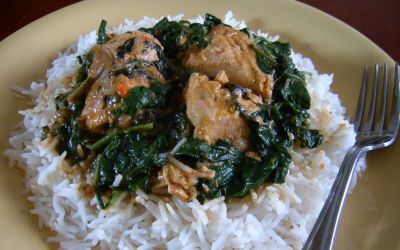 Rice in the Nigerian culture is served with various indigenous ingredients like spinach, avocado, cooked black-eyed beans, sweet corn, fresh and cooked vegetables and more. So every appetite is served! 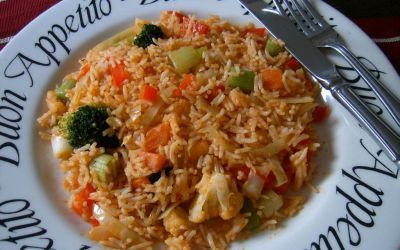 My special Jolloff rice, for instance, served with steamed salmon and laced with sliced avocado is suitable for any dinner table! These recipes are healthy, tasty and easy to prepare. 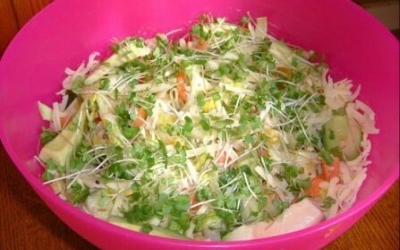 Eat with salad as snack or appetizer. Delicious! This is truly unbelievable! Watch people ask for second and third helpings of this tasty dish. This is a family favourite! 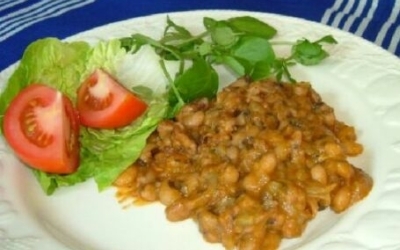 You must try this beans on toast for breakfast but please do not forget to go to work! 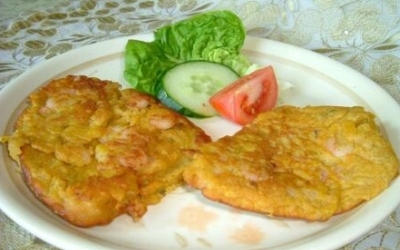 Serve with rice, moi moi or akara. Absolutely delicious! 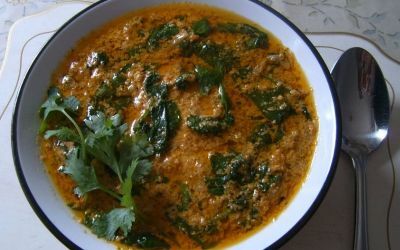 Mmm, you have to savour the unforgettable flavour of this dish to understand the effect it can have on your tastebuds. This is truely sublime! Rice cooked in authentic coconut juice is an unbeatable combination. This taste is almost too good to be true. An unusual but unforgettable flavour! This dish bursts with flavour and mama's expertise in making it is legendary.